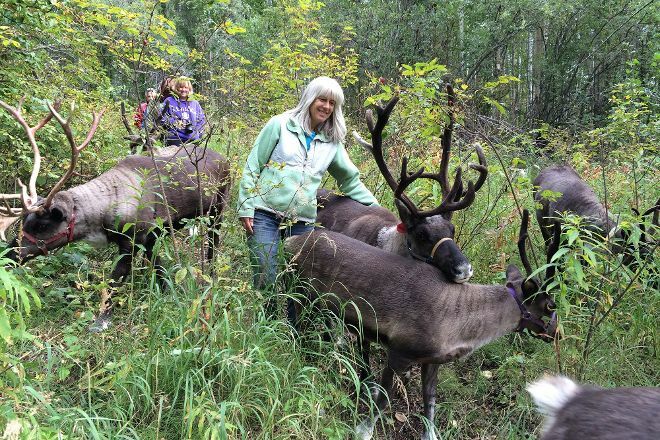 Discover a boreal forest at Running Reindeer Ranch, where gentle animals will be your nature guides. After your walk with reindeer, you'll receive light refreshments and a chance to keep the conversation going with your hosts. This ranch is open to visitors by appointment only, and no drop-ins will be accommodated. Be sure to call in advance to arrange your visit. Check available dates on the website, where you can also purchase a gift card for a loved one. Ask Inspirock to suggest an itinerary and make planning a trip to Fairbanks fast, fun, and easy. Worth going out of the way to visit. 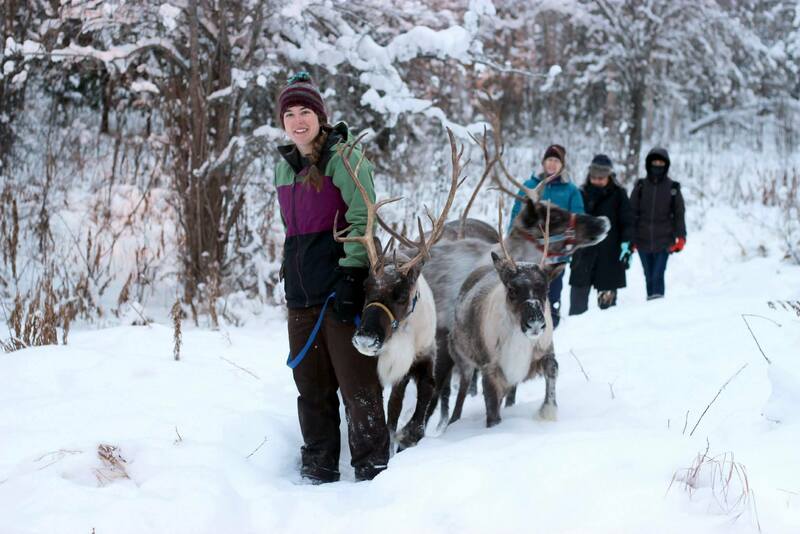 The tour is not only exciting as you are surrounded by reindeer however informative as well. Overall this experience was unique and presented local flavor. Will recommend a visit to anyone in the area. I just want to thank Jane, Doug, and Alex for an awesome experience. We are on a Cruise tour and arrived one day early to explore Fairbanks on our own. After seeing previous reviews, I knew this was an experience we did not want to miss. Once I started looking into the Running Reindeer Ranch I had noticed that on the extra day that we had set aside, they were closed. I had sent an email to see if they would be opening up a spot. Doug was very efficient at responding and actually opened up the day that we were available. When I booked online, I actually entered the wrong date. (I booked for one month earlier than what was needed.) Since Doug and I had communicated several times, he actually made me aware of my mistake and actually fixed it for me, where I did not have to do anything else. (Thanks Doug for catching this.). 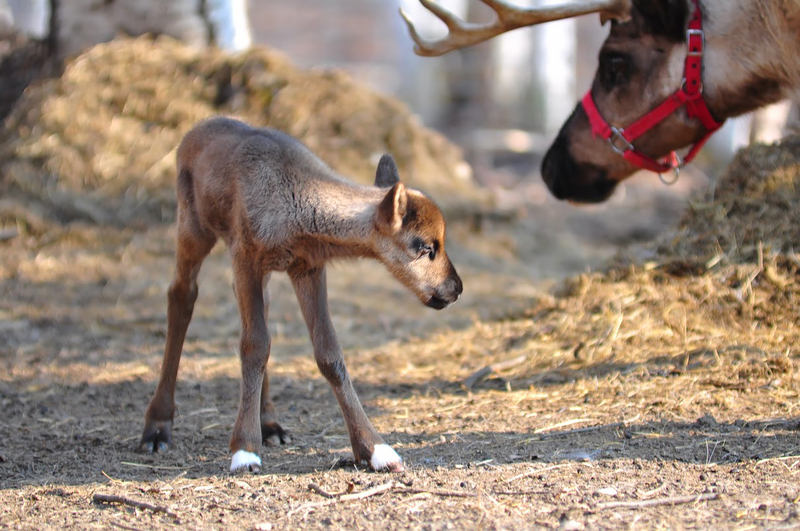 The tour itself was very educational and I learned a lot about reindeer that I never knew. There are wooden benches spread throughout the walk which were a blessing for my mother who has a difficult time walking. When it came time for the pictures with the reindeer, Jane actually allowed my mother to remain seated and they brought the reindeer over to her so she was not left out. 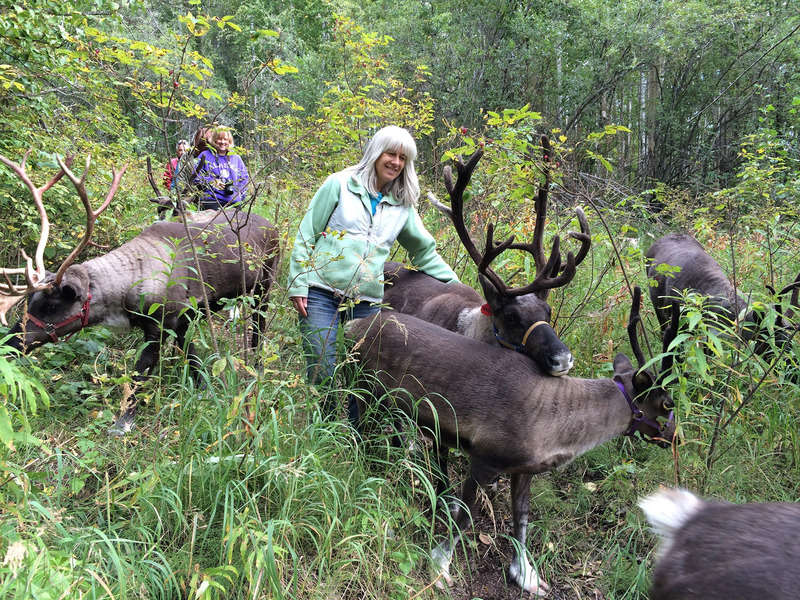 Thanks once again to Jane and Doug for opening up your house and sharing your reindeer with others. One tidbit is that the tour is up a slight incline, but once again, there are benches spread throughout the walk.